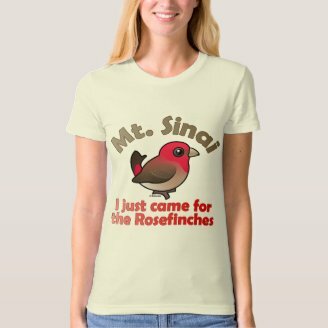 This Birdorable Rosefinch in the wild is at the foot of Mt Sinai near St. Catherine's Monastery in the south of Egypt's Sinai peninsula. 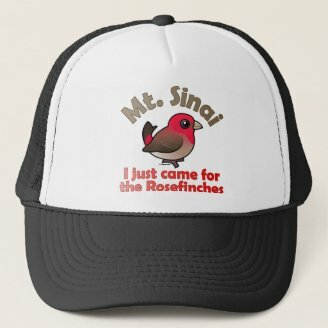 The area is well-known for it's Sinai Rosefinches, which are endemic to the region. 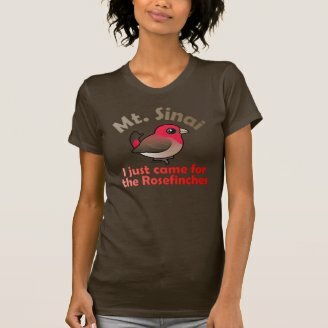 Amy is wearing a Mt. 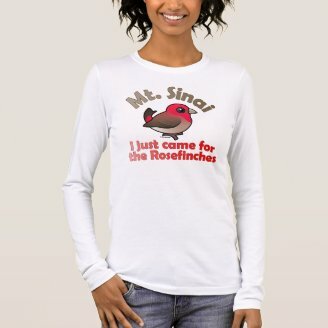 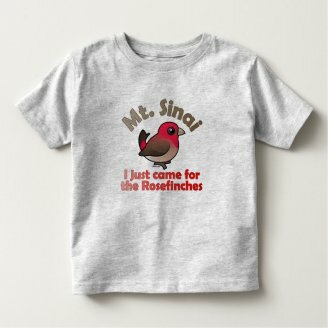 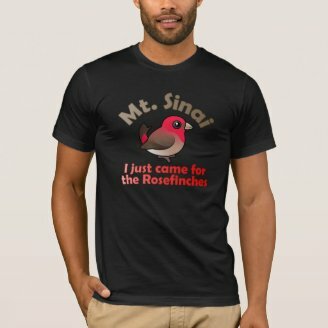 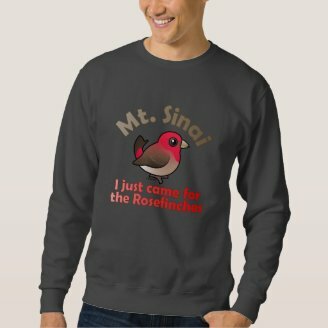 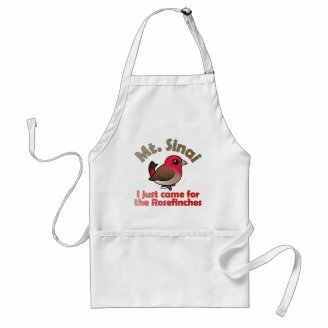 Sinai - I just came for the Rosefinches White T-Shirt.